She’s very outspoken yet jovial. She’s tough and smart. She’s… got a very inspiring life experience that you would wish to stop tears running down your cheeks. At her age, most women would have long given up life due to the hard knocks. And indeed, life appears unworthy to journey on especially at a time when you believe in yourself and the people your instinct directed you to and believed that they are kindhearted with creative eyes had refused to give you the necessary support and opportunities. “We don’t in any way have to blame nature for taking its course no matter the spiritualities in our situations because if we don’t go through these life schools; how on earth would we as humans be prepared for what God’s blessings bring to us. Our deserving life, our worthiness? 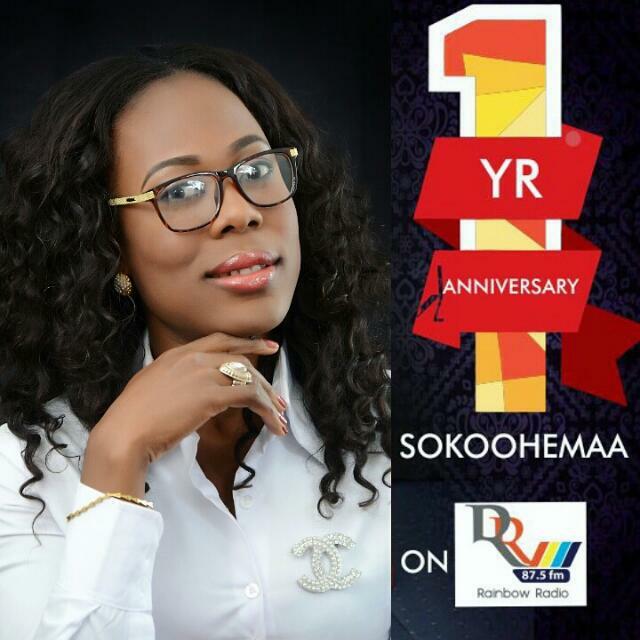 Melody Kukua Ibrahim, well-known as Sokoohemaa is the host for Daybreak show on Rainbow Radio 87.5 and also the founder of Kuks Events. Editor’s Note: Song lyrics used at the beginning of this piece is by Nigerian Songstress, Yemi Alade featuring Nigerian Music Producer/Musician, Selebobo.